China appears set to once again boost its purchases of liquefied natural gas (LNG) for the northern winter, but unlike last year's rush, this time the process is likely to be more organised and stable. In recent weeks there have been several indicators that China is planning on increasing the use of natural gas in winter heating, replacing boilers that use more polluting coal. Curbing winter air pollution has been a major aim of the authorities in Beijing, but they were stung by criticism last year that the switch to natural gas was made too quickly and the resulting shortages left some people without adequate heating. A sign that Beijing is putting more effort into ensuring sufficient natural gas supplies came last week when Vice-Minister of Finance Liu Wei was quoted by the Communist Party newspaper as saying that gas supply agreements must be in place when converting coal-fired boilers to the cleaner fuel. These comments were followed by an announcement by state-owned oil and gas major Sinopec that it is putting in place a range of measures to boost winter natural gas supplies, including increasing purchases of spot LNG cargoes and boosting distribution. It's often a challenge with China to work out exactly how official pronouncements will translate into real world action, but in all likelihood China is going to increase LNG imports in coming months. This will come on top of an already strong year so far, with both official customs data and vessel-tracking data compiled by Thomson Reuters showing impressive gains. 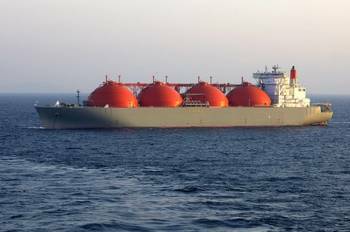 China imported about 4.55 million tonnes of LNG in August, the highest since January, according to the shipping data. Imports for the first eight months totalled 32.2 million tonnes, up 46.4 percent from the same period last year. Customs data for the January to July period shows imports of about 28.05 million tonnes, up 47.6 percent from the same period in 2017. In addition to the surge in import volumes, the data show that China's LNG purchases haven't shown as much of the seasonal swings of past years, with a strong winter peak followed by lulls in spring and summer, before picking up in autumn. In the 2017-18 winter, imports in December and January were some 72 percent higher than those in July 2017. However, imports in July this year, were only 17.4 percent below the previous winter peak months of December and January, indicating that LNG demand has remained robust throughout the year so far. There was a hotter-than-usual summer in China, which boosted electricity demand for air-conditioning, but this had more of an impact on coal demand, given limited power generation from natural gas. It seems that China has not only been increasing its year-round consumption of natural gas, but has also been building up storage capacity in order to increase availability during the winter peak. What appears to be happening is that China's LNG demand is becoming more year-round, which should mitigate swings in spot pricing in Asia. Indeed, this has already occurred to some extent, with spot prices <LNG-AS> showing a milder decline to the 2018 low point from the prior winter's peak than in previous years. The drop from the winter peak in January to the low in March was 39 percent, compared to 44.6 percent last year and 48.7 percent the year before. It's also worth noting that spot LNG enjoyed a surprise summer peak, but this is more likely related to the unusually hot northern summer. Prices have been rising since late July and last week reached $11.50 per million British thermal units (mmBtu). This is coincidentally the peak price from the previous winter, which was reached in mid-January. This is a sign that spot LNG prices are likely to rise further in coming weeks, but may peak earlier than usual, assuming winter temperatures fall within the normal ranges.